Magnificent house recently renovated and furnished in the area of ​​Albaicin Alto, bordering the Nazari Wall of the Alberzana. 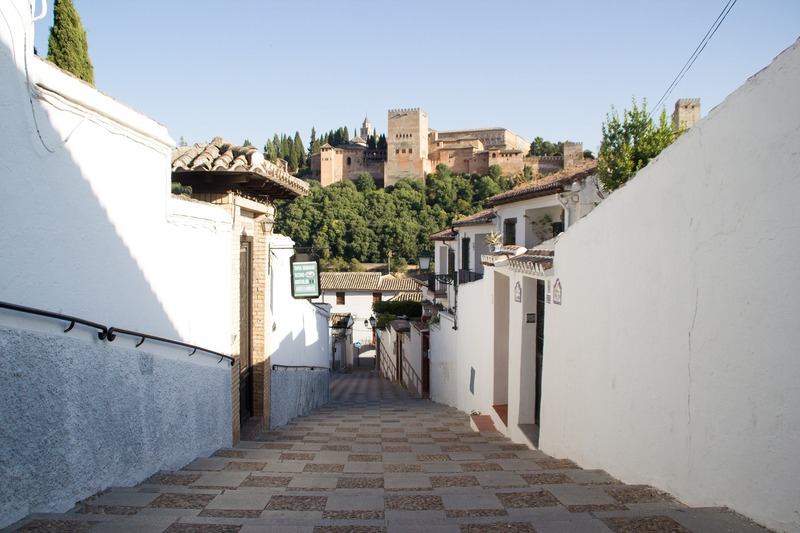 Just 2 minutes from the Albaicín and 5 minutes walk from the center of Granada. It is located in a quiet private urbanization of Mediterranean style. The house has a living room, kitchen, three bedrooms and two bathrooms distributed over two floors. It also has a private garden where you can enjoy the sun of Andalusia. On the ground floor there is a spacious living room with new furniture, dining table and exit to the porch of the outside terrace, with table and comfortable chairs. On the same floor we also find a magnificent kitchen equipped with everything necessary to make your stay a comfortable and unforgettable experience. On the upper floor we find the rooms: two of them with a double bed and the third with two single beds. In addition, it has two bathrooms. To make your stay in Granada even more comfortable, the house has a private parking space. With views of the Alhambra, the Palace of Carlos V and the wall, your experience will be unrepeatable.